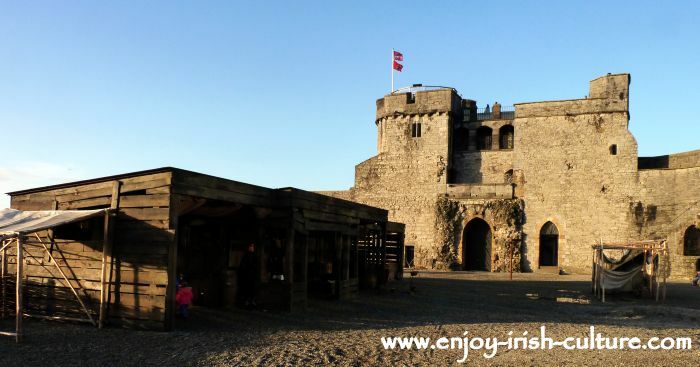 Limerick Castle or King John's Castle is one of the most impressive medieval castles in Ireland. Limerick castle was built by the Anglo-Norman invaders and settlers of Ireland during the early years of the thirteenth century. Watch our video here of the castle experience! 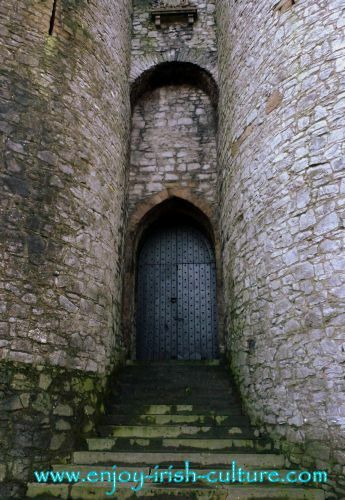 Like the other Royal castles in Ireland, Limerick Castle served as a stronghold to house a garrison defending the newly won territories from attack by neighbouring Gaelic chieftains like Donal mor O’Briain of Thomond. King John's Castle was officially re-opened on November 29th 2013 after mammoth restoration work was completed, along with the addition of an exciting high tech visitors centre housed in a shiny new steel and glass structure which replaces one of the missing curtain walls. 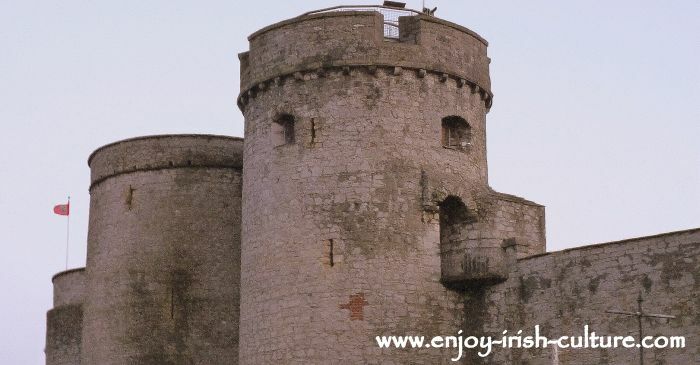 The King John’s Castle Experience is a treat for the young and old, using multi-media presentations and displays to enlighten visitors on the history of the castle from the Anglo-Norman’s to the subsequent sieges in the 17th century. There is a lot to see here. Plan two hours minimum for your visit if you want to explore most of what there is to see, and plan some time for the coffee shop on top of that. Go and see some of the artefacts found during the excavations like arrow heads and leather shoes and watch touch screen displays of the various aspects of castle life in the past and meet characters which include the medieval master stonemason and the royal moneyer. You can even have fun dressing up in period costumes. In the courtyard one can experience a taste of medieval and 17th century military life with a campaign tent and wooden buildings based on castle life during the sieges of the 1600s. One of the most impressive features of the site are the uncovered mine tunnels which were dug underneath the castle during the siege of 1642. There is also a cosy and bright restaurant to relax in and a gift shop to bring home a souvenir of your visit. To give you an idea of how realistic a day trip would be from your area, here are some travel times: Driving to Limerick from Dublin takes just over two hours, it takes an hour and twenty minutes from Galway, an hour and a half from Cork, and two hours from Waterford. 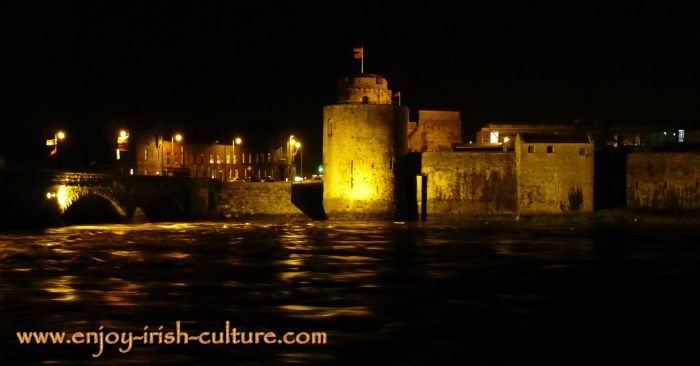 The castle is located right in the centre of Limerick by the river Shannon, right next to Thomond Bridge. Parking: If you cross the bridge facing the castle, pass the building and look out for the next turn on the left with signage for a visitors car park where you can park for free during your visit. The castle is open all year round apart from Christmas Eve, Christmas Day and Stephens’ Day. During the summer months from April to September the castle is open from 9.30 a.m. to 5.30 p.m., during the rest of the year they close an hour earlier. Ticket prices are 9 Euros per adult, and 5 Euros per child with a family ticket at 23 Euros. With a comfortable coffeeshop, gift shop, visitor toilets and disability access this is a well-run tourist spot, well done Shannon Heritage. A great day out for the whole family, not to be missed. Suitable for families with young children as the multimedia presentations are engaging for all. There are both inside and outside areas which is perfect for mixed weather. There is so much to see and do at the museum and castle visit combined that the main challenge is to bring enough time. Definitely plan a couple of hours for your visit, but you can easily stretch this to a more leisurely four hour visit, taking a break at the coffesshop mid-way. We felt this was true even with young kids because there is plenty there to hold their interest. Look out for cheaper ticket prices by booking online at Shannon Heritage. 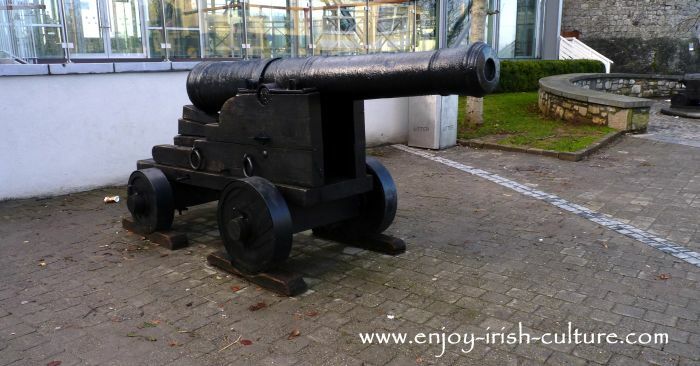 If you are a fan of everything 'Irish culture' and plan to visit more of their sites during the year, you should consider the membership option which includes a couple of extras as well. Looking for other attractions in the area? 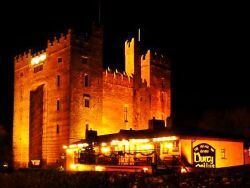 Check out Craggaunowen and Bunratty Castle! If you liked our article on King Johns Castle, please pay it back by using the social buttons at the top left, or at the very bottom of the page.